Personal safety is the first priority of any work place. 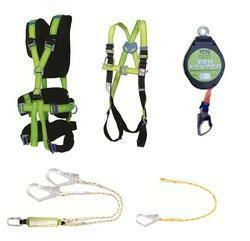 We specialize in supplying Safety & Protection wear which are manufactured to international safety norms. 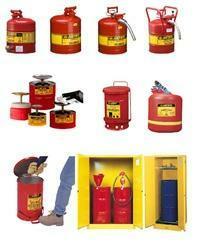 Safety wear for every job, be it marine, oil & gas, welding, construction, fire fighting, road safety and many more. Anti-fatigue mats are often used to decrease foot and lower limb disorders for workers who stand in one position for long periods. However, providing a mat may not solve the entire problem. Discomfort, tiredness, and sore feet, legs, knees or hips after long hours of standing are the combined effect of several factors, namely the design of the work, the workers' footwear, and the flooring material. According to scientific data, standing for long periods of time is particularly stressful and fatiguing. Regardless of the quality of shoes and quality of the floor covering, standing itself can cause tiredness after an entire working day. 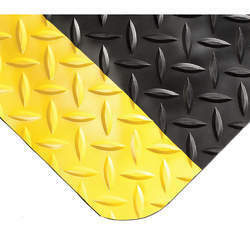 When considering the use of anti-fatigue mats, there are other factors that should be considered at the same time, such as allowing changes in working/standing position, footwear, and flooring. Changes in working/standing position: Work should be organized so that the worker has some choice about his/her working position and an opportunity to change position frequently. A workplace that includes an optional seat (chair, sit/stand stool) and some kind of footrest increases the variety of body positions and encourages frequent changes between them. Flooring: The type of flooring used in the workplace has an equally important influence on comfort, especially on tender feet. Hard, unyielding floors, like concrete, are the least comfortable surface to work on. Walking on a hard floor is similar to the impact of a hammer pounding the heel at every step. Wood, cork, carpeting, or rubber - anything that provides some elasticity - is generally gentler on workers' feet. More than that, softer floor coverings reduce fatigue and improve safety by reducing slips and falls on slippery floors.There are two options to alleviate foot discomfort where resilient floors are not practical. One is footwear with thick insulating soles and shock-absorbing insoles. Anti-fatigue matting is the other option. Anti-fatigue mats absorb the shock due to walking and this cushioning effect reduces foot fatigue. However, the use of matting requires caution because mats can lead to tripping and falling accidents when installed improperly. Another type of floor covering, namely, anti-slip matting, is useful in increasing foot comfort and safety. However, workers may find that their feet burn and feel sore, because the non-slip properties of anti-slip matting cause their shoes to grab suddenly on the flooring, making their feet slide forward inside the shoes. Friction inside the shoes produces heat which creates soreness. Non-slip resilient insoles can reduce this discomfort. In summary, the use of anti-fatigue mats or placing carpeting on the floor does not eliminate sore feet by itself, but, when combined with proper work design and quality footwear, it should improve working conditions. Pelican designs and manufactures tough lighting tools used by professionals including firefighters, police, military, aerospace, industrial and consumers. 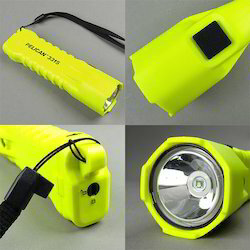 Built Pelican tough, our lights offer the lumen brightness and safety needed whether in the field or at home. Our line of super bright lights include waterproof lights, tactical lights, safety approved lights for hazardous areas, hands free lighting, right angle lights for fire fighting and industrial use and signaling lights for traffic and airport operations. We have led the industry through enormous gains in LED light output performance, and keep in mind that every Pelican flashlight is guaranteed for life. Many industrial accidents are caused by the unexpected energisation or start up of machines or equipment or by the uncontrolled release of energy. 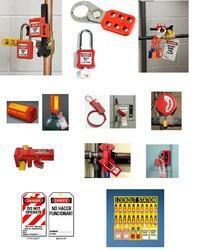 These accidents can be prevented by proper LOCKOUT/TAGOUT procedures. Current regulations 'Provision and Use of Work Equipment 1998, Section 19 Energy', and the 'Electricity at Work Regulations 1989, Regulation 13' are designed to prevent needless deaths and serious injuries to service and maintenance personnel by controlling unauthorized or accidental use of energy. The best quality of Oil Absorbents is offered by us. These Oil Absorbents are extensively used in various suitable applications like automotive service stations and minor spills and leaks of used oil and other liquids often occur during activities, other small businesses. Further, these products are highly effective in nature and easy to use. All Lalizas products are designed to offer you the maximum safety and comfort and constructed with the highest quality standards so that you enjoy the best combination of quality and price. 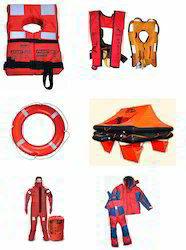 As you will see in the next pages, there is a great variety in products aimed to keep you safe, such as lifejackets ,buoyancy aids, liferafts, lifebuoys, EEBD, immersion suit, TPA, MOB systems and signalling devices. Nowadays, all commercial ships are obliged to have their safety equipment approved by Solas regulations, in order to maximize the survival probabilities in case of emergency. However, part of this safety equipment is obligatory for the recreational yachting as well (depending on the country). All Solas regulations are mainly concerned with the construction, the design and the durability of products that have to do with the safety on board. In Lalizas’ product range you will find a big variety of Solas products, such as life jackets and lifebuoy rings, available in different types. 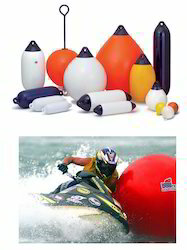 Additionally Lalizas offers you life jacket and lifebuoy lights, pyrotechnics, EEBD, immersion suits and other products, which are mainly intended for commercial use. Lalizas is proud of the high quality standards of its products. All these products, after having successfully passed all the relevant tests, have the Solas and CE approval to MED Directive. Norfloat's NB and A series of infiatable buoys and available is six standard colours and 13 sizes are widely used as fenders for yachts and work boats throughout the world. The A series has been specifically developed for the finishing industry. The main feature of the buoy is its heavy duty rope eye which as designed not to chafe ropes, and is of a size to suite shackles without modification. The Norfloat valve is simple and effective and allows easy inflation and deflation. The valve is sealed with a plastic screw, which has a coarse thread that is impossible the cross thread or over-tighten. 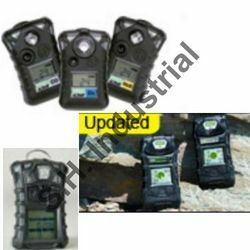 The ALTAIR Single-Gas & Multi Gas Detector uses patented electrochemical sensors, MSA-built button toxic gas sensors which feature stainless steel construction and contain solid electrolyte, virtually eliminating the possibility of sensor leakage. The extremely small and thin sensor profile allows the detector to deliver high-performance in a very small package. 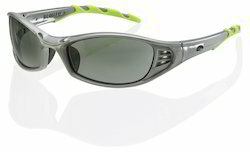 The oxygen version utilizes fast responding reliable electrochemical sensors. Headquartered in Iselin, NJ, Ansell Healthcare is the world's largest manufacturer of protective gloves and clothing, providing leadership in the areas of development, design, manufacturing and marketing. Ansell has led the personal protective equipment industry with "Ideas that Fit™" for more than 100 years. Our comprehensive safety solutions and product innovations have helped manufacturers across a wide range of industries reduce worker injuries and boost productivity. Ansell’s Industrial division manufactures and markets high-performance, multi-use protection solutions specific for hand, foot, and body protection, for a wide-range of Industrial applications. Ansell’s healthcare division offers a full range of surgical and examination gloves covering all applications, as well as healthcare safety devices and active infection protection products – designed to best suit a variety of needs while protecting patients and healthcare workers alike. Owing to rich industrial experience, we are involved in offering best quality of Flame Retardant Coveralls. 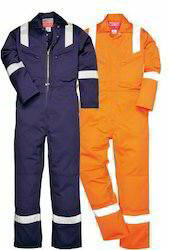 These Flame Retardant Coveralls are extensively used flame resistant coats. Further, we ensure to satisfy the entire requirements of the customers in all possible manners. The offered products are easy to use. SECUREFIRST Full Body Harness as per EN 361:2002 and ISI standard, lanyards as per EN 354:2002 standard and Energy Absorbers as per EN 355:2002 standard. BS8020:2012 is an exacting specification that our insulated shovels demands full adherence to detailed manufacturing and testing procedures for safe working practices to be maintained by the user when working on or in close proximity to live conductor cables. Every single insulated shovel is flash tested to 10,000 Volts and printed with a BS8020 1000 Volt logo and issued with a certificate. This makes every insulated shovel totally traceable and guaranteeing full conformity to live live cable working specifications. Our insulated shovels are doubly protected by twin layers of polymer sheathing which gives excellent protection against high voltage and abrasion. A specially integrated collar prevents the users hand slipping onto the blade of the insulated shovels. 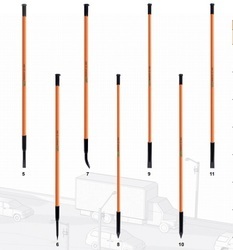 We have a great range of different tools in our insulated shovel range. The taper mouth and square mouth shovels are used for backfilling trenches, concrete or tarmac mixing and general shovelling duties. The cable laying shovel has a narrow blade making it ideal for clay digging and heavy ground breaking work. This is similar to the trenching shovel where the narrow blade is perfect for trenches where cables and pipe and being layed. The blade on the newcastle draining tool, sometimes referred to as a graft, is designed for digging deep holes, deep narrow trenches, cable channels, pipe channels or post holes. 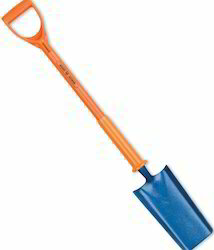 New Safe Dig insulated shovels have now been introduced to our range. 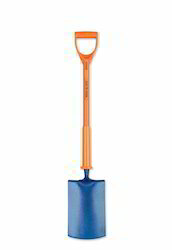 The purpose of the Safe Dig insulated shovels is to reduce the risk of penetrating hidden cabling. It achieves this by having double thick leading edges on the blade of the shovel. The Safe Dig insulated shovels are to be used as part of a safe working practice when potentially live underground services may be present. Heat, flame and weld spatter protection, designed to exceed industrial standards where resistance to moisture, sunlight, corona and hydraulic oils is needed. 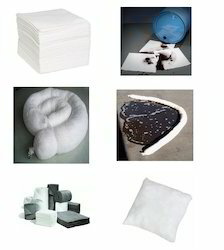 A midweight (32oz/yd2; 1085g/m2) high temperature resistant fabric, constructed from a glass fiber base fabric, impregnated both sides with a specially compounded silicone rubber coating designed to shed heavy weld spatter and resist heat and occasional flame. Pyroblanket™ 32 oz is completely impervious to water, moisture, hydraulic oils. It is used primarily for fabrication of premium grade valve insulation covers, hanging flame-protection blankets in outdoor and offshore use, and protective molten splash applications. Available in iron oxide red. Other colours available by special order. Pyroblanket™ 32 oz is sold in 60″ and 36″ widths (1525 mm and 915 mm) x 150 ft (45 m) rolls. It can also be supplied in cut lengths, custom shapes, or as custom fabricated curtains with grommets. Superior-performing, rubber insulating gloves combine high dielectric and physical strength, flexibility and durability. Specifications:Lineman's Glovesmeet and exceed the requirements of current ASTM D120 specifications and NFPA 70E standards. To minimize chafing and hand fatigue, make sure gloves fit properly. 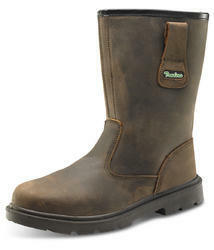 Class 00: made of natural rubber and feature a curved hand design for maximum comfort. Superior protection when working with a maximum of 500V AC.Class 0: lighter in weight, one-color low-voltage gloves--widely used in meter departments and other low-voltage applications. 5KV test voltage. 1000 AC maximum use voltage. Class 1: 10KV test voltage with 7500 AC maximum-use voltage. Class 2: 20KV test voltage with 17,000 AC maximum-use voltage. Class 3: 30KV test voltage with 26,500 AC maximum-use voltage. Glove Kitsinclude the glove listed below, appropriate glove bag and leather protectors. Glove bags are made of heavy-duty canvas duck, double-stitched at stress points for durability. Snap hook lets you hang on your work belt. Wide top opening for easy insertion. 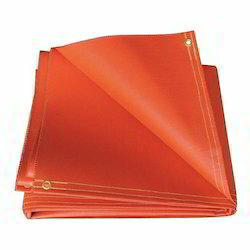 Leather protectors protect from cuts, abrasions and punctures. Proper storage is essential. Type I natural rubber gloves available in: red, yellow, black or red in/black out. Type II Salcor® rubber gloves available in blue. Compliance:Meet or exceed ASTM D120 Standard and meet International Standard 903, IEC-1988. 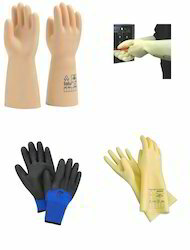 Please Specify Glove Size:8, 9, 9-1/2, 10, 10-1/2, 11.
protection for electrical workers. Incorporating high dielectric and physical strength, flexibility and durability, Salisbury by Honeywell insulating rubber gloves have earned the reputation for superior performance. Salisbury by Honeywell mittens are made from the same durable, lightweight rubber as the five finger gloves yet keep the user warmer during harsh temperatures. The three finger mitten allows for precise hand movement as well. All gloves meet ASTM D120 and IEC/EN 60903 standards. Inquire for more information and sizing. Crowbar insulated tools are used for digging in normal ground conditions and levering - the steel chisel/point/heel end has a long steel shank to allow use in levering tasks. The heel-ended crowbar insulated tools are recommended where the user's policy is to avoid the use of bars with vertical cutting edges in ground where buried services may be present. Digging bar insulated tools are used almost exclusively for digging, especially in difficult ground conditions, and have a heavier chisel/point end than those offered on crowbar insulated tools. 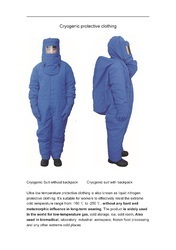 Ultra-low temperature protective clothing is also known as liquid nitrogenprotective clothing. It's suitable for workers to effectively resist the extremecold temperature range from -160 ℃ to -250 ℃, without any hard and metamorphic influence in long-term wearing. The product is widely usedin the world for low-temperature gas, cold storage, ice, cold room. Also used in biomedical, laboratory, industrial, aerospace, frozen food processing and any other extreme cold places. Economical Steel Can With A Single Spout For Filling And Counterbalanced Pouring Of Flammable Liquids. Convenient Two-Spout Design Allows One Larger Opening For Filling And One Opening With A Hose For Smooth, Accurate Pouring. D.O.T. Safety Cans Safety And Convenience Is At Your ingertips With This Easy-To-Use Single Spout Design. 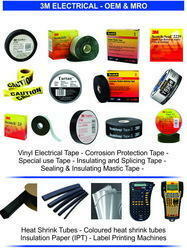 Looking for Industrial Safety ?